To the shock of everyone whose favorite team doesn’t play in the 334 area code, the NCAA closed its investigations of the Auburn University Football program. The league’s lead investigator wrote in a letter to Athletic Director Jay Jacobs that it had conducted a thorough, 13-month long investigation into the program and failed to find sufficient evidence of major infractions. And that was that. The raging fire has been extinguished. There will be no AUburgeddon. UPDATE: I forgot to add that the timing of yesterday’s announcement probably wasn’t a coincidence. 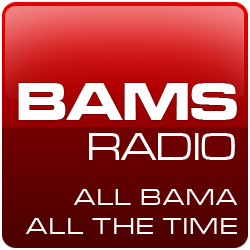 The story broke at about 3:30 pm CDT, or about 1-1/2 hours into the Paul Finebaum Radio Network show. A finger in the eye? This space was going to have a point-counterpoint column on the decision and its impact on the SEC and college football, but the red-eye team of Barrett Sallee and Pete Fiutak beat me to it with this excellent piece on CollegeFootballNews.com. You will see comparisons to O.J. Simpson and Casey Anthony in regards to Auburn football getting off the hook. The NCAA wouldn’t have concluded its investigation if it felt that there is anything that could implicate Auburn University or Cam Newton. It had no reason to. If the NCAA presumed guilt - or presumed that guilt is an option - the investigation would have stayed open until the four-year statute of limitations expires. It didn’t, and that’s BIG. The fact that the NCAA doesn’t have subpoena power should also be a strong indicator of where it feels Auburn stands in the violation pecking order. The organization doesn’t have the power of the United States judicial system, but it also doesn’t share the same burden of proof as the United States judicial system. Don’t believe me? Just ask USC. First of all, I can’t keep stressing this enough; you can’t prove that someone got a bag of cash. You can’t prove a $100 handshake. The NCAA, by saying it couldn’t find any violations, basically couldn’t find a paper trail, and it gave up. Remember, this wasn’t a criminal investigation; just because the NCAA didn’t find anything doesn’t necessarily mean that nothing happened. The NCAA doesn’t have subpoena power, and no, you’re not committing perjury if you lie in an investigation. The NCAA got Reggie Bush and USC because there were pieces of paper that said he was getting paid by a marketing company. Ohio State got nailed because there were e-mails that proved Jim Tressel was covering up a controversy. There wasn’t anything here for the NCAA to prove that anything happened at Auburn in regards to the recruitment of Cam Newton and all the allegations surrounding the Real Sports interview, but again, that’s not the point. The Cam Newton side of this wasn’t about Auburn, it was about the Newtons, and that ended a year ago when the NCAA inexplicably let Cam continue to play even though his father was the textbook definition of an agent. No, this isn’t a legal issue and this wasn’t a criminal investigation, but that the NCAA couldn't prove that money changed hands is irrelevant. A family member asked for money in exchange for a player. That should've been a slam-shut ruling. Sallee echoes the sentiments of every Auburn fan on the planet. They never believed that Auburn had done anything wrong in its recruitment of Cam Newton and the HBO Four were just sour grapes whiners. They feel vinidicated by the “not guilty” verdict from the NCAA and can now rest comfortably that Daniel Moore’s print of their BCS National Championship doesn’t have to be in pencil. Fiutak echoes the sentiments of virtually every other college football fan who followed this story. There are a great many football fans who will never be convinced that the price to play at Mississippi State was 180 large, but the price to play at Auburn was no extra charge. That’s not just Bama fans, either. I had conversations last night with bloggers from or fans of Florida, LSU, Arkansas and even Notre Dame and all of them expressed the same “they got away with something” opinion. It’s not likely that any minds will change but that doesn’t matter, now. The NCAA has closed the case, tied it up with a bow and sent it with a letter from Jackie Thurnes. I think these two points of view sum it up perfectly. There's those that support Auburn, and believe that justice was done. And there's everyone else in the known world. Auburgeddon avoided......for now. They'll make a mistake. They always do. *U doesn't lead the SEC in major violations by accident. I bleed Crimson Red, it is time to contact your cohorts over at Auburngate.com and have that site shut down. It now looks like a conspiracy web site run by nut jobs. P.S. Auburngate is now an embarrassment to us Bama fans. A cogent opinion. I still think that the death angel passed over the Auburn door simply because we knew that CAM was not the root of their sins. So, if the bomb does drop, does that mean the AG folks are not nut jobs? Too much info has passed that is verified to label those guys as nut jobs. Right now, auburngate.com has egg on it's face. Nuff said.